Our guest writer today is Marie from Idaho. She will be talking about what she has learned as she has dealt with chronic illness in her life. I was raised in a faithful LDS home with wonderful parents. My mom was always a good example to me in the way that she fulfilled her motherly duties without complaint. I have memories of her full of energy, tackling projects around the house. In my eyes, she never wasted a minute. I wanted to be like that. Because of her example, I always looked forward to becoming a mother. In fact, I was determined to be the best wife and mother I could possibly be. I was excited for the opportunity to achieve those goals. When my kids were very young, my health took a turn for the worse. This has been the greatest trial of my life. I was overcome with debilitating fatigue and pain, feeling extremely sick most of the time. All of the sudden, everything that I was determined to do became impossible. I was so frustrated that I couldn’t take care of my family, I couldn’t develop my talents, and I was even in too much pain to focus enough to read the scriptures or write in my journal. I couldn’t accomplish any of the goals that I had envisioned myself achieving in this life. Months turned into years, and I felt like I would never be the person I wanted to be. 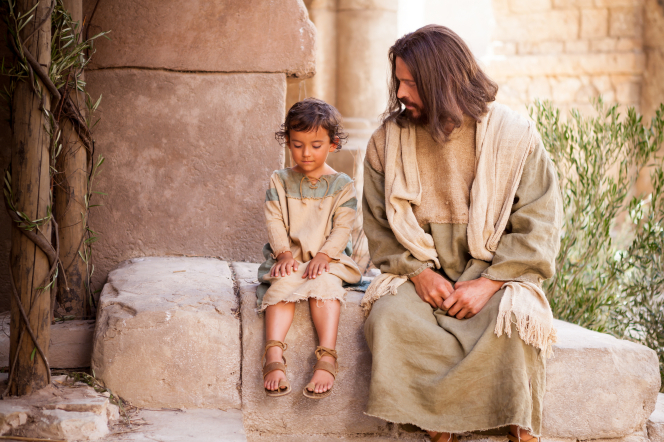 Then one day I had the realization that I felt closer to the Savior than I ever had before. Somehow my spirit was changing. I was filled with Charity, The Pure Love of Christ. I’d never felt more humble and filled with the Spirit. I gained a strong confidence that my spirit is stronger than the natural man. When I thought my trial was keeping me from becoming who I wanted to be, I was actually becoming who the Lord wanted me to be. I can see now that life isn’t a “To-Do List” of things we need to get done to enter the kingdom of heaven. Life is a proving ground, a time to become more like the Savior and eventually be perfected. We don’t become perfect by being the best cook, seamstress, housekeeper, and gardener. We don’t even become perfect by reading the scriptures every day, developing our talents, or by being amazing at a calling in the church. We become perfect through Christ. It is our hearts that need to change. Our desires need to change. Christ can help us find that light that’s inside each of us. I’m not saying that we shouldn’t strive to do the things on our spiritual To-Do Lists. Oftentimes those righteous acts are what create the change in our hearts. When we serve others and keep the commandments, the Lord blesses us with increased faith and spiritual light. There are also times when those actions are a reflection of that change that is being made in our hearts. Our trials are often God’s means of bringing us to Christ and transforming our spirits into something magnificent. I had been having a mental battle each day against the trial. I was impatiently waiting for God to take the trial away. It was getting in the way of my plans for my life! It is hard to let go and trust! I realized I had to stop trying to wish the trial away. I had to submit to the trial. That doesn’t mean I gave up hope or didn’t keep trying to find things to improve my health. I gave myself permission to stop worrying about it, stressing about it, and feeling guilt about it—that wasn’t doing any good! That’s when I found out what it really means to lay my problem at the feet of the Savior. I discovered that my responsibility was to take each day at a time and do the best with what I was given. If that meant that I didn’t get anything done each day besides trying to have the best attitude possible, then that was enough. Even on the days I couldn’t keep a positive attitude, it would still be enough. I’ll do thy will with a heart sincere. 1. “Have Thine Own Way, Lord,” The Cokesbury Worship Hymnal, no. 72. 2. Linda S. Reeves, “Claim the Blessings of Your Covenants”, LDS General Conference, October 2013. 3. “I’ll Go Where You Want Me to Go,” Hymns, no. 270. I love this so much!! You are an amazing person Marie! Thanks so much, Marie. Your beautiful testimony really helped me put trials into perspective. I wish you didn’t have to be so sick, but God has definitely made you into one of the most beautiful people I know. I’m glad to count you as one of my friends. That means so much to me Charissa! Thank you for your kind words!! This is so inspiring! My trials in life seem so small compared to that and yet I still struggle a ton! Marie is amazing and I feel like you’d never even know how much she’s going through because of how kind and positive she is all the time! Agreed. Marie is amazing for all those reasons. Wow Christina, what amazing compliments! Thank you so much!